Whether you need to cut through concrete or carry out demolition work, at SGS Engineering, we have a large selection of SDS drill bits to help you get the job done. Whether you’re looking for SDS wood drill bits, masonry, or SDS drill bits for metal, our range can be used for a variety of functions. Shop pointed, wide and flat bits below. 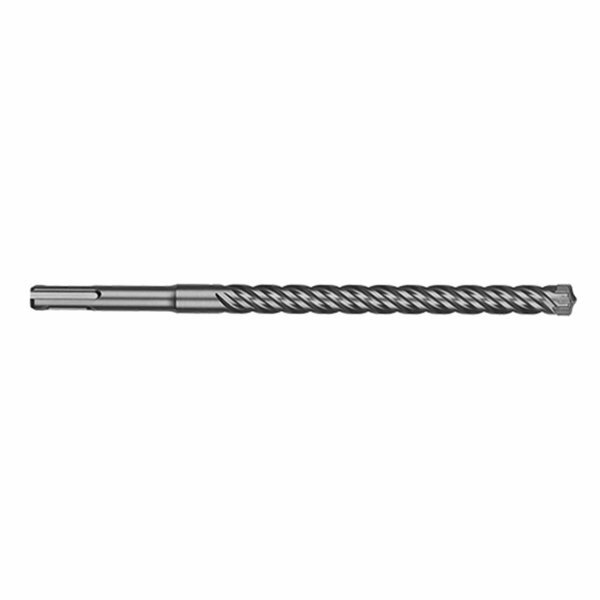 Here at SGS Engineering, we stock 2 and 4-flute SDS+ drill bits to suit a range of jobs. Made with reinforced carbide tips they have been designed to deliver fast and accurate results. For reduced friction, select the 2-flute range that feature a narrow drill tip to provide optimal speed and reduce skidding. Or for ultimate precision, purchase a 4-flute with 90-degree edges. These have been manufactured with a premium carbide for low wear and longer life, even when used on concrete and stone. If you require more power, we also stock SDS M2 and RX4 lines. Each of these drill bits offer greater durability, increased speed and faster results, helping you to complete tasks in less time. Alternatively, if you need more than one, order a five-piece SDS drill bit set. We specialise in providing the best tools at the best price. So, whether you’re a solo tradesperson, own a small business, or need to complete some DIY, you can afford the parts you require. Place your order online today or contact our team with any questions you may have.